X-Small - $49.99 Small - $49.99 Only 8 left! Bodice has appliqued felt "seeds"
Does your little one want to dress up any chance she gets? We get it, dressing up is a lot of fun, no matter what the season is! Whether the leaves are changing in the trees or the kids are splashing in the kiddie pool, costumes help kids dive into an imaginative new character. Is there anything better than playing pretend? Your little girl can become a princess trapped in a tower or a proud queen, ordering her subjects around in an instant. All she needs is a little costume inspiration! With all the enthusiasm your little one has for playtime, it's important to have a little variation in her costume arsenal. 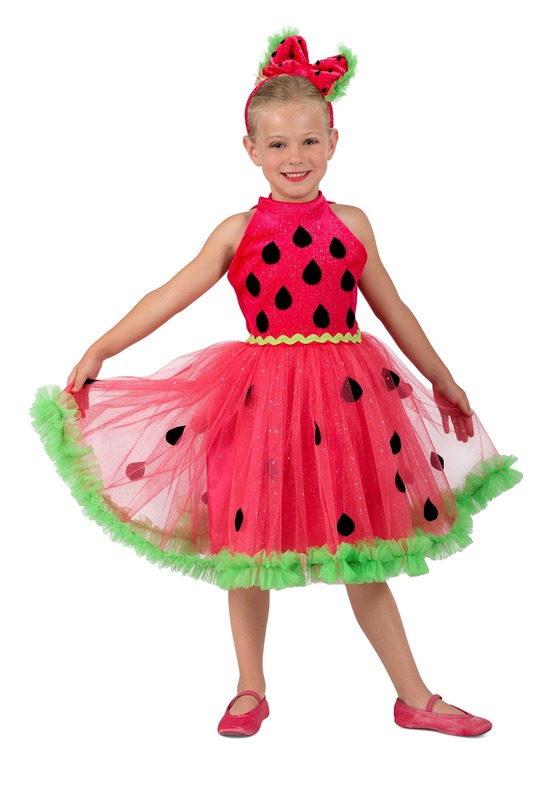 Shake things up while keeping it sweet with this adorable watermelon dress. The seed pattern is fresh and fun while the cut is party-ready. If that's not the best of both world's we don't know what is. Slipping it on is simple. The sparkly top secures at the halter neck and the waist cinches in the back, giving your little one a flexible and celebratory fit that'll be a summertime favorite! Do you have a tropical themed party coming up? A sweet summer fiesta that the whole family is celebrating? 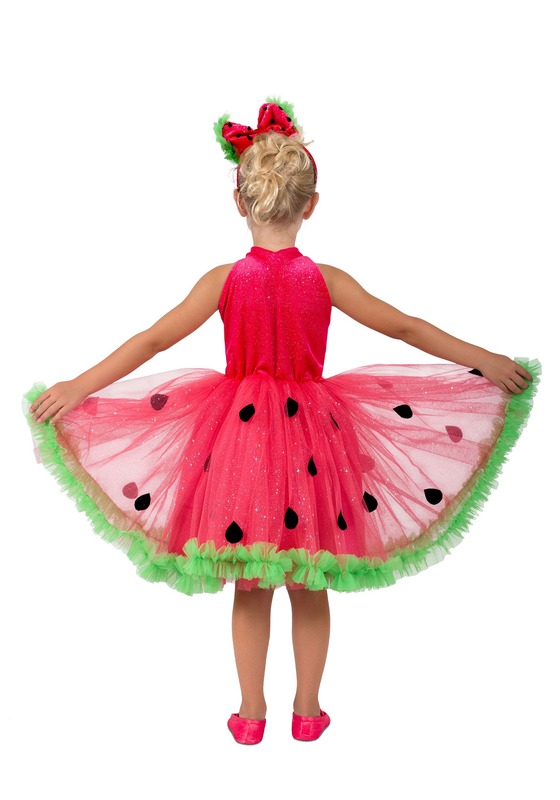 Your little girl dancing in this dress will be a sight you won't forget. With plenty of flounce and sparkle, she'll be dancing to the beat and smiling for the camera as soon as she throws this ensemble on! Now, not everyone considers a costume to be an active toy but we beg to differ. This costume party dress can help your little one become a garden fairy, helping all the fruits and veggies in the garden grow. So maybe you're purchasing this ensemble for your town's Watermelon Days or maybe she's cheering up the gloomy Halloween scene but you can also rest assured that you'll see her wearing this dress again and again. After all, every afternoon playtime calls for a few costume changes.